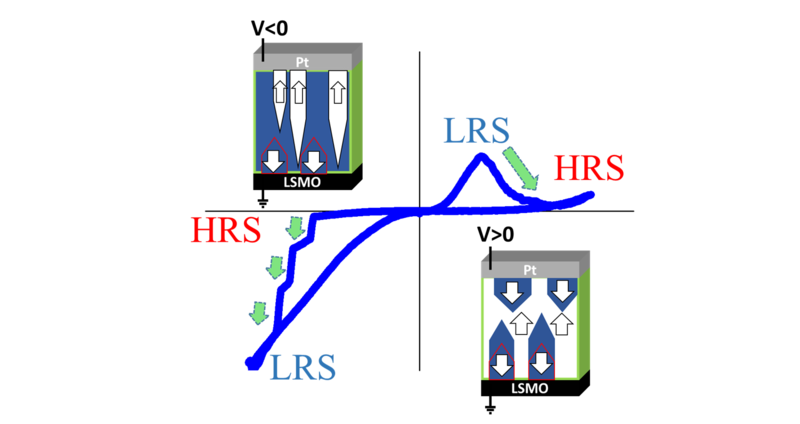 The resistive switching associated with polarization reversal is studied in detail in ferroelectric BaTiO3 tunnel junctions, with focus on the dynamics of the ferroelectric domain switching. It is observed that the transition between the high‐resistance state (HRS) and the low‐resistance state (LRS) is largely asymmetric being smooth from LRS to HRS, but proceeds via avalanches in the HRS‐to‐LRS transitions. It is shown that this distinct behavior is related to the presence of an imprint field in the junction and has important consequences on the junction's performance.